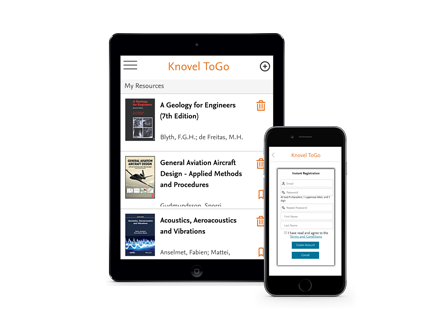 Knovel’s free mobile application, Knovel ToGo, extends the power and reach of Knovel's trustworthy and reliable technical and application- specific reference content, saving time and effort, and helping engineers to advance their projects by providing access to answers via their mobile devices – whenever and wherever it’s needed. Discover how Knovel provides Donaldson’s researchers and engineers with information that inspires insights in the lab that leads to innovation. Learn how a Turnover Engineer at a large Engineering, Construction, and Project Management Company uses Knovel to finding and maintaining technical knowledge that helps achieve optimal design and development.